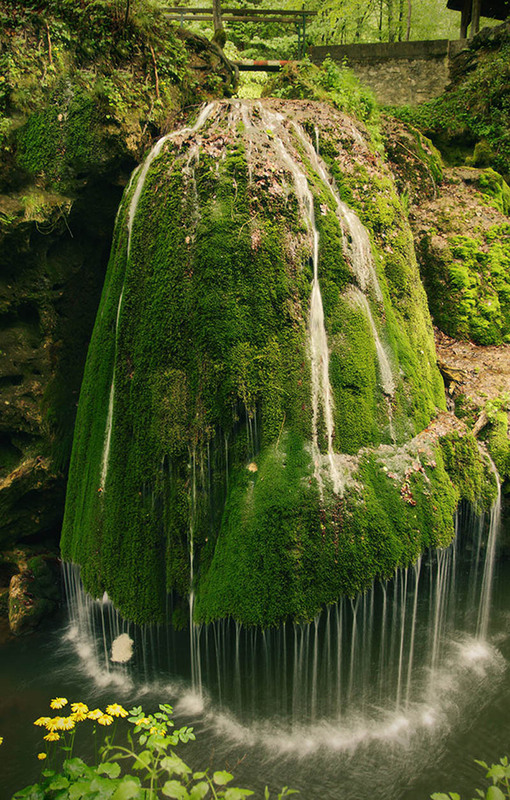 this is the Bigar Cascade Falls in Carass Severin, Romania at the 45th parallel (45° 0′ 15.28″ N 21° 57′ 36.41″ E). 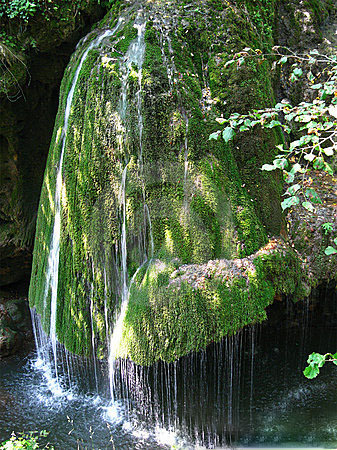 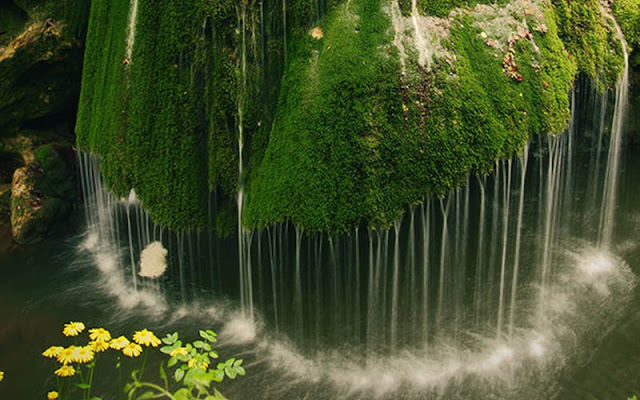 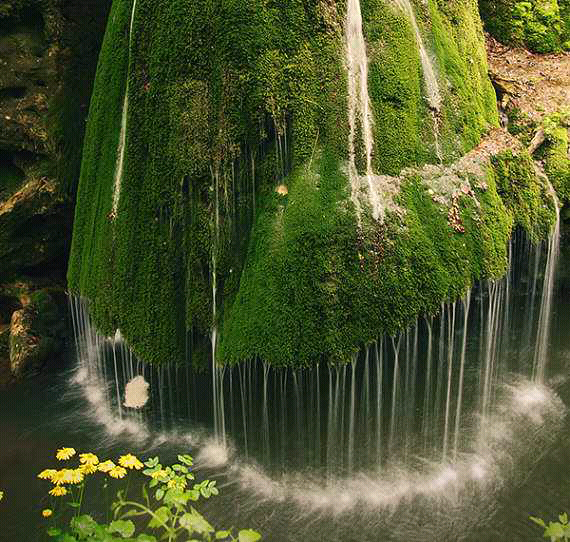 The dramatic moss-covered falls are situated in the forests of the Anina Mountains and is formed by an underground water spring that spills into the Minis River. 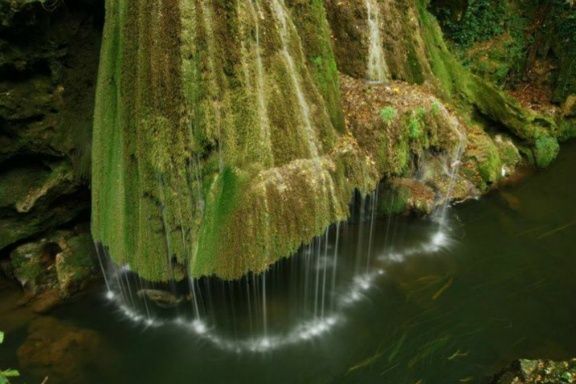 i was wondering if you could swim in this but then i wonder what those long lookin fish are?